You are here: Home / dinner / barbeque / Grilled Fish Tacos! I’ve been in a serious fish taco mood lately. A corn tortilla, crunchy lettuce, sweet tomato, spicy creamy sauce, tangy lime, bet-you-can’t-eat-just-one fish taco mood. And so the Southern husband has been getting a steady diet of fish tacos (it is SO convenient that tortillas only come in packs of approximately one million) as I figure out which variety of fish taco is my very, very favorite. First up: grilled fish tacos, complete with all that good stuff I listed above AND some sweet grilled pineapple just for good measure. The key to fish tacos, and especially grilled kind, is setting things up in the right order. You want to be able to bite into these tender tasty tacos the second they are off the grill, and in order to do that you need to have all your ducks in a row. I know, they are totally not in a row, but it’s my favorite picture I have ever taken of ducks and since I hardly ever get to use it on the blog I went for it. 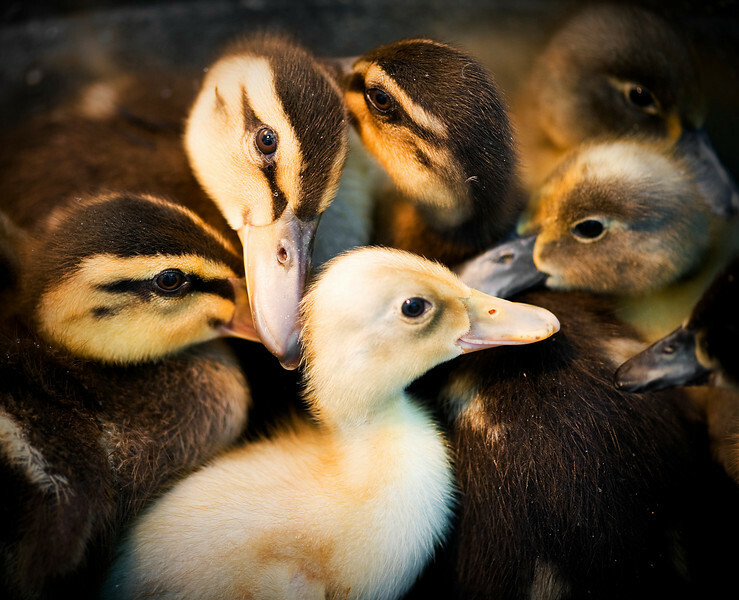 Don’t you love how the yellow baby in the center has a little tiny smile on his adorable duck face? Marinate your fish. You are going to make a super-easy marinade of chili powder, olive oil, lime juice and a few other things, and you are going to slice your fish into nice grill-able strips and let it sit in this spicy wonderfulness for a few hours. And speaking of fish, I made my grilled tacos with swordfish, but mahi-mahi or even tuna would work fine. You want a sturdy fish that will stand up to the grill. 2. Make the sauce. It’s an easy combo of sour cream, lime juice and chili powder and it will take you two seconds, but you want it ready to go when the time comes. 3. Prep your toppings. Chop up some lettuce, quarter some cherry tomatoes, mash up some avocado with lime juice and salt and cut your pineapple into a few strips. 4. Grill! 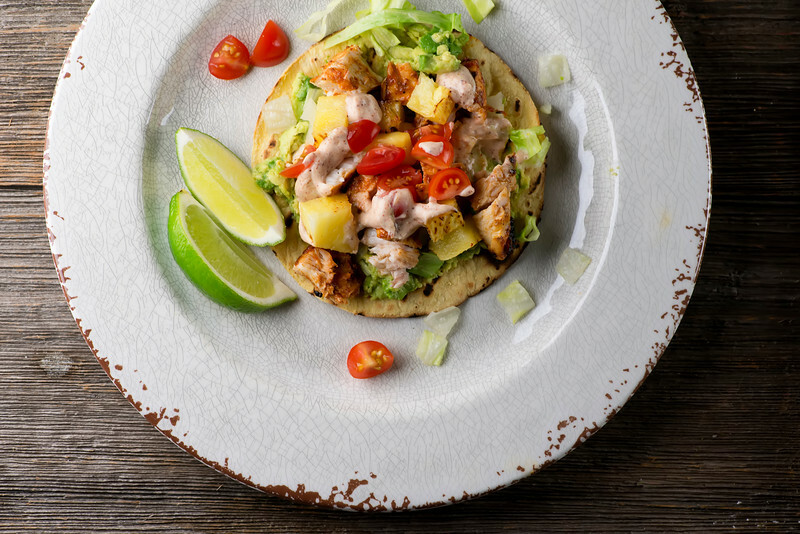 You are going to grill not only the fish, but also the pineapple strips and the tortillas. I like to give my tortillas a bit of a char on the outside, but if you want yours more pliable you can leave them on just until they are warm. You be you, tortilla-wise. And if you like flour tortillas better than corn, go for it. Once everything is off the grill, you are going to pull the fish into nice bite sized chunks with two forks, and chop the pineapple into small chunks. Now spread some mashed avocado on the warm tortillas and top with lettuce, fish, tomato, pineapple and a nice spoonful of sauce. I find that the avocado helps to hold the lettuce in place so it doesn’t end up falling out of your taco on the first bite. Pop a few lime wedges on the place for folks who like a little extra zing, and dig in! Next up for the Southern husband: fried fish tacos. I hope he can take it! Stir all the marinade ingredients together. Add the fish strips, stir gently until fully coated, and then refrigerate for at least 3 hours. Preheat grill to high. If you have a fish grilling pan coat it with olive oil and place the fish and pineapple strips on it, otherwise make sure your grill is coated with oil. While the grill is heating, make the sauce by stirring all the sauce ingredients together. Mash the avocado with the lime juice and a pinch of salt. Line up the lettuce, tomato and avocado on your counter so you are ready to roll when the fish is done! Grill the fish and pineapple together on the grill for 3-4 minutes per side. Lay the tortillas on the other side of your grill and heat until they are warm to slightly charred. The more charred they get the less pliable they will be, so keep that in mind. Shred the fish into chunks with two forks, and quickly chop the pineapple into small pieces. 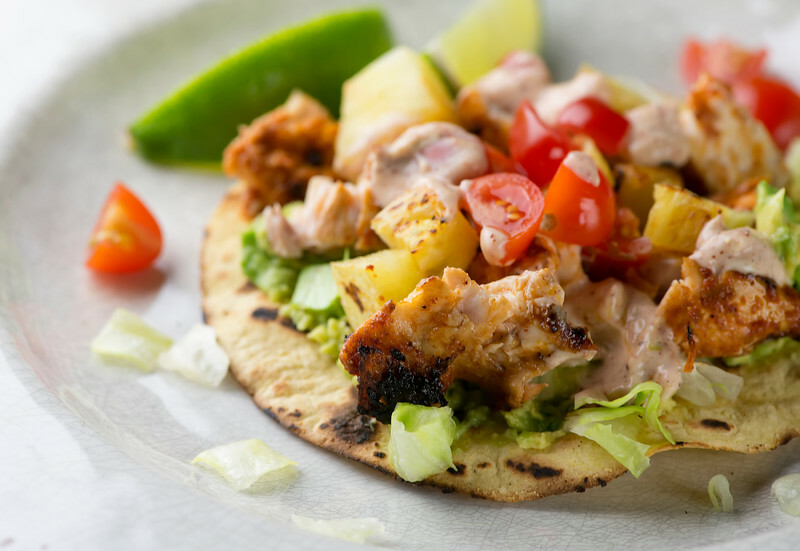 Spread the tortillas with a little mashed avocado, then top with lettuce, tomato, fish and pineapple. Spoon a little sauce on top. Serve at once with lime wedges. Fish tacos are great, but shredded cabbage is the traditional accompanient, not lettuce. You are Irish and you are not a cabbage person! Your mother must be devastated! I love lightly steamed cabbage cooked in water clinging to the leaves and with butter and salt.